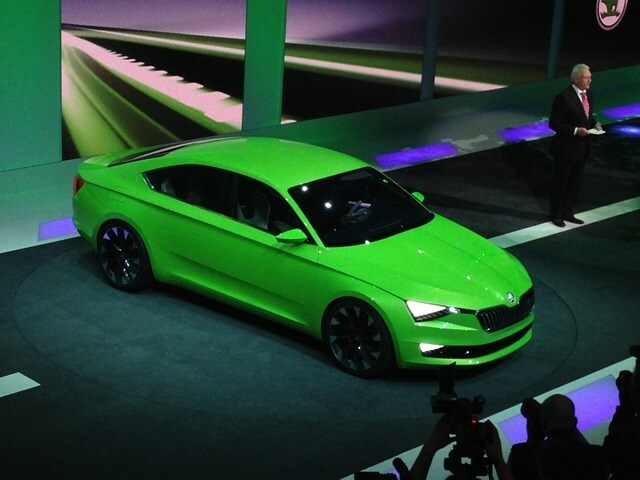 Three years ago there was a Skoda Vision B concept, now it’s time for a Vision C. It’s a show car, not a production model, but various styling cues from the Vision B concept have made their way onto production Skoda’s since so we can hazard an educated guess that elements of the Vision C are highly likely to make their way into a Skoda showroom before too long. It’s a five-door coupe, similar in execution to the Volkswagen CC, based on the same underpinnings as the Skoda Octavia. Inside there’s space for four adults plus a generous boot, like the Octavia. Finished in a particularly eye-catching shade of green, particularly interesting design elements are the triangular headlights, razor sharp creases along the car’s flanks and lack of visible exhaust outlets at the rear. The car’s not only green in colour, as it’s powered by an engine fuelled by both petrol and compressed natural gas (CNG) with CO2 emissions of only 91g/km. The previous-generation Skoda Octavia Scout was a more rugged version of the Octavia estate with a raised ride height and chunky plastic bumpers – now there’s a new one and it follows exactly the same template. A derivative of the excellent Octavia 4x4 estate, it’s four-wheel drive (with the same Haldex clutch system as the Yeti) and rides on suspension 30mm taller than the regular car it’s based on. It’s not difficult to tell the Scout apart from the rest of the Octavia range with unique five-spoke alloy wheels and tough plastic mouldings around the wheel arches and bumpers. There are three engines available: two diesels and one petrol. L&K stands for Laurin and Klement, Skoda’s founders, and is the label reserved for the plushest and most heavily equipped of the company’s models. It’s now the Octavia’s turn to get a range-topping L&K derivative and it comes loaded with 18-inch alloy wheels, bi-xenon headlamps and LED tail-lights, a combination of leather and Alcantara (an expensive suede-like material) upholstery and an uprated sound system. There are three engines – a 1.8-litre petrol and two diesels, both 2.0-litres in capacity with a choice of power outputs. Both manual and automatic DSG transmission versions are available and a four-wheel-drive variant will join the range in the UK later in the year. Pricing for the UK is yet to be confirmed. Like the Vision C concept, the Octavia G-TEC is powered by an engine that can be fuelled by both petrol and Compressed Natural Gas (CNG). This car is a production model though, and the first Octavia to be powered in this way. 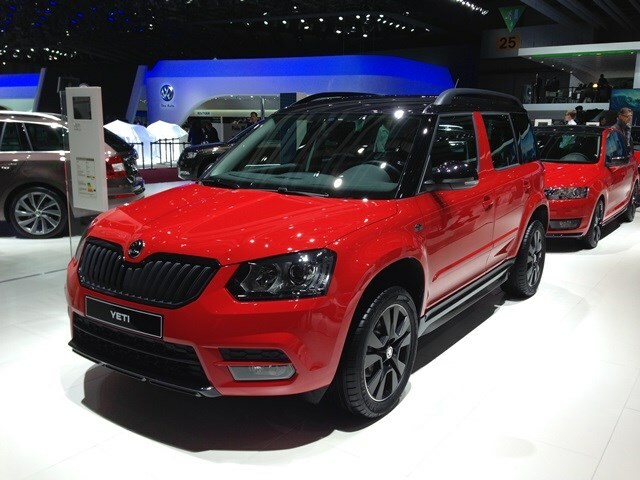 Skoda claims a theoretical range from its 1.4-litre engine and two gas tanks. When those tanks are empty the car switches to petrol power, freeing up an extra 571 miles of range. This all rather irrelevant as far as the UK is concerned however, as there are currently no plans to introduce the G-TEC to the British market. The Yeti small 4x4, Rapid Spaceback hatchback and Citigo runabout are all getting sporty Monte Carlo derivatives added to their range for 2014. All will feature large black aluminium wheels, tinted rear windows and black exterior trim (plus a black roof in the case of the Yeti and Rapid Spaceback). Inside, all three cars get a black interior with sports seats and red stitching throughout. Pricing is to be confirmed later this year.